1964 THREADS tank (c/o). Lovers + Friends jacket (c/o). Articles Of Society jeans (c/o). ShopAKIRA clutch (c/o). Chilli Beans sunglasses (c/o). 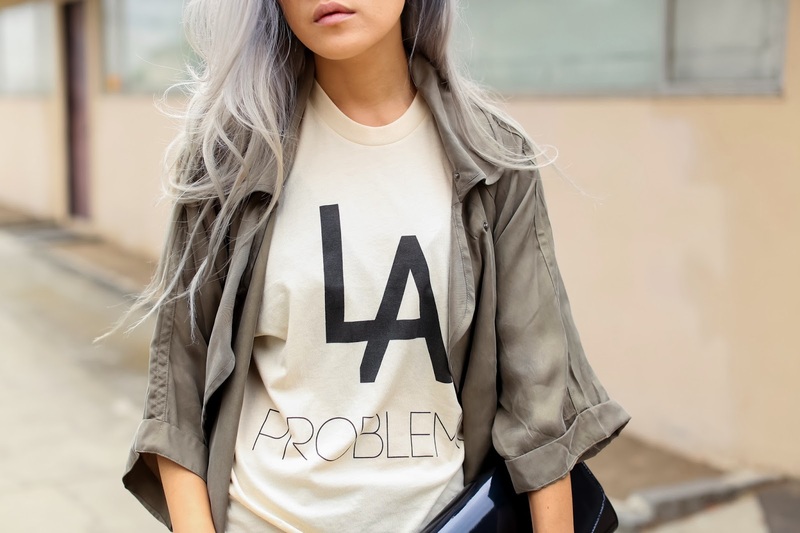 I laughed when I saw this shirt because I am all too familiar with the "LA problems" it's referring to. I remember reading an article on LA problems and being like, "YASSS GURL" to every single one. Take these for example: Trying to decipher the bajillion, seemingly contradictory parking signs to see if you're okay to park there at that time, traffic on the 405...or anywhere in LA for that matter, potholes, Obama visiting and basically rendering all streets useless, being horrified at eating something not organic and free-range, being late to Zumba (because of that damn traffic), never really having winter, etc. The funniest one was "model/actor/whatever". Coincidentally, my glasses are called the Melrose Sunglasses! They're from a line by Chilli Beans specifically inspired by Los Angeles, called the Los Angeles Collection (duh) and each frame is named after a well-known and loved LA area. This post was sponsored by 1964 THREADS. Check them out here. 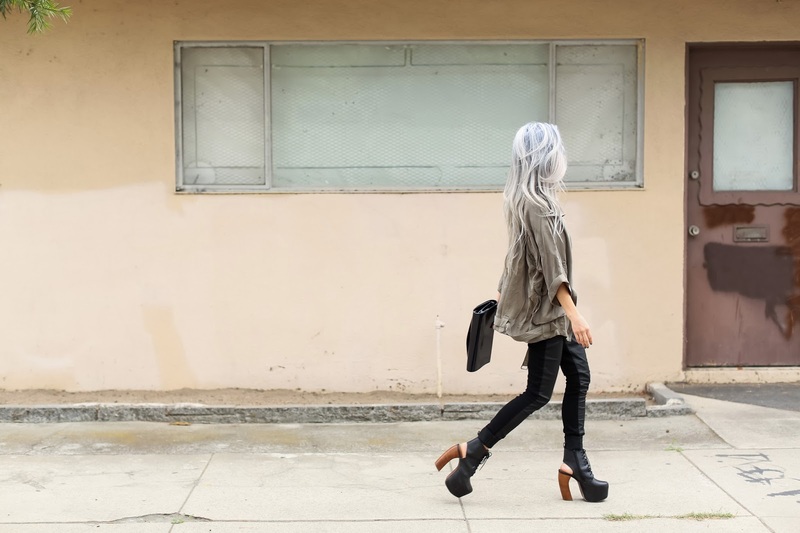 Gorgeous outfit, i'm in love with the shoes.. Awesomeballs! 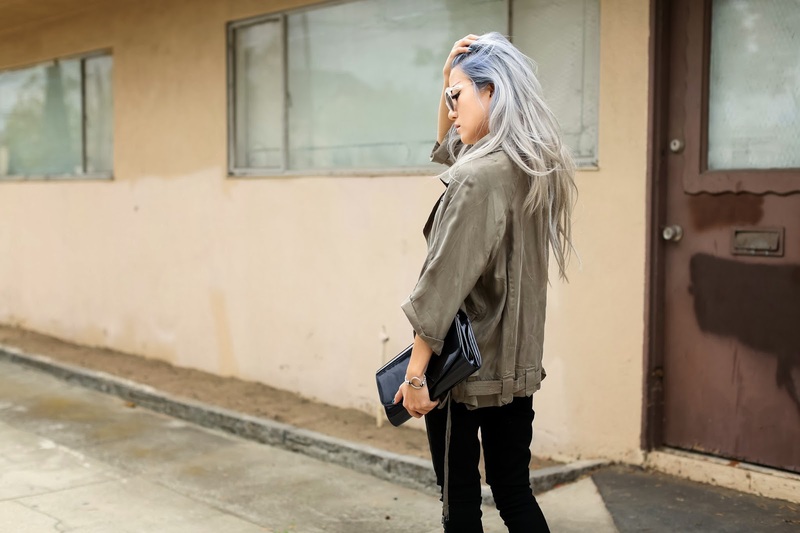 Amazing look, great trousers and I absolutely love your hair!